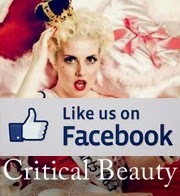 Critical Beauty: CB Loves Caroline Lunny, Miss Massachusetts USA 2014! 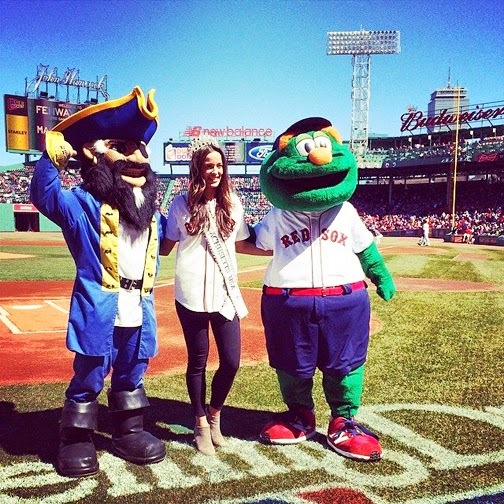 CB Loves Caroline Lunny, Miss Massachusetts USA 2014! How does it feel being Miss Massachusetts 2014? I feel like such a grown up! When I was Miss Massachusetts Teen USA in 2008, I remember looking up to Jessica Rafalowski, Amy Diaz, Jackie Bruno, and so many of the other Miss girls from that year. Now it’s my turn to play in the big leagues. 1) Great acting. I love being moved by an honest and great performance. 2) Traveling adventures. It’s so important to see the world. I learn so much from traveling and observing other cultures. 3) Friends and family. Otherwise none of this is worth it. Describe your idea of happiness. My mom and I caught a flight to Philly on our way out of Atlantic City. It’s on my bucket list to travel to all 50 states (I’ve been to 25) but I cannot check a place off the list unless I have done something there- simply driving through doesn’t count. We ran as fast as we could across the lawn to see the Liberty Bell and then to Market Street to grab a Philly Cheesesteak so we wouldn’t miss our flight. It was short and sweet, but it was so much fun. We laughed like crazy and made an adventure out of nothing. Little things like that make me very happy. What makes Massachusetts stand out from the other 49 states? Ah, there’s so much to choose from! The history, Cape Cod, the sports teams! I’m a huge fan of the New England Patriots. I put myself on the (12 year) wait list for season tickets two years ago. The Patriots Nation in Massachusetts is something that can’t be beat! I would be a green apple. I eat so many of them; I would probably just turn into one. I love to add slices of them to grilled cheeses and turkey sandwiches. Weird, but delicious, I swear! I love a tall, dark, and handsome man, but I need to be able to laugh with him. I really love when you find someone who inspires you to be the best version of yourself. It’s important for me to have someone who I can go on adventures with, but also snuggle on the couch with. Balance is key. PS, opening the car door for your lady goes a long way! Are you more like your mother or father, and why? My mom! She can make friends anywhere she goes and can talk to anyone. Why is it that people who are attractive tend to be more successful? I think passionate people are the most attractive people in the world. Anyone who is passionate about what they do is bound to be incredibly successful. Do you support gun owners’ rights? Should homeowners be allowed to own guns to protect their families? Violence is never the answer. However, I support everyone’s second amendment right to protect themselves. But I also feel that strict background checks must be given. People with past criminal history and those who suffer from mental illness should be extensively evaluated. Do you think pageants matter to anyone outside of pageantry? I hope so! Pageant women are able to touch so many lives, not just those directly associated with the inner circle of the pageant world. With my title, I have been able to spread my story and struggle with domestic violence, and inspire those that I may not have otherwise had a chance to reach, to stand up for themselves and help recognize and abusive relationship they may be in. Do you believe that global warming exists or do you agree with critics who say it is a big fraud? I wouldn’t mind a little warmth after this brutal New England winter, but I do believe that we need to be more conscious of our footprint and educate ourselves on how we can be better about our environment. What do you think about so-called “reverse discrimination” against white males in jobs? I think we need to stop seeing, judging, and labeling everyone based on their race, gender, sexuality, etc. It’s 2014. People need to be seen for their drive, work ethic, and talent. If you were to have dinner with three celebrities, who would they be and why? 1) Jennifer Lawrence. She’s so hilarious and honest. She’s just brilliant. 2) Ellen Degeneres because I think we would have a blast together and I want to persuade her to let me dance with her on her show. 3) Giada De Laurentiis. I would like to cook this said “celebrity dinner” with her, YUM! I see myself having my own TV show and hopefully traveling the world. If I can inspire one person to leave an abusive relationship with my story, I will have done my job. I want to use my voice as Miss USA and ultimately Miss Universe to inspire others to stand up for their freedom and safety, and to leave someone who may be physically or verbally abusing them. …and I want to cross it off my bucket list!